Your business's electrical system is too important to place in the hands of just any commercial electrician. Computers, servers, routers, copiers, fax machines and lighting - not to mention your time-sensitive, electronically stored data - all depend on consistent and reliable electricity. You want minimal business disruption during your commercial electrical repairs or upgrade project. From office and store fit outs, to fire alarms, light installations, generators and more, put your trust in well-trained, honest and dependable commercial electricians. We are highly trained and skilled experts ready to help your business succeed. Wm. Thome has the expertise for next big project. Keeping your business up and running is crucial for continued to success. We can help to ensure your business remains operational. 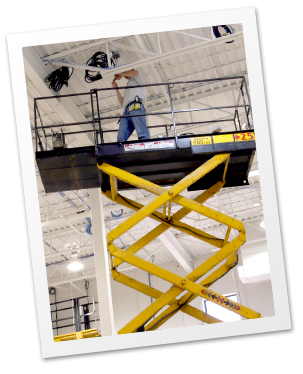 Address lighting concerns, voltage problems, power loss and maintenance oversights. Upgrade or add on to existing services and install new services to help you keep up with your growing power demands. 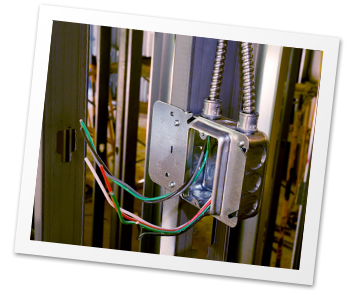 Experience and capabilities to install 100 to 2,000 amp, single or three phase services. Address all lighting and power demands that come with taking over or remodeling existing offices and storefronts. Add on to existing alarm system or install a new system throughout your building. Replace or repair your existing fixtures. Upgrade to energy efficient lighting. Install generators so your lights stay on during a power outage. Your business will remain operation and will not experience any interruptions due to power failures. From charging stations to the installation of new machinery, we can help you stay current with the latest machinery installations. Contact Wm. Thome Electric today to get a quote for your commercial project.